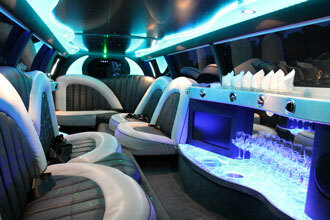 A stretch limousine Tour with Limo Hire Melbourne P/L offers you the utmost luxury, privacy and flexibility for your day. With personalised door to door service your day can be specifically tailored to your needs. A wine tour to the Yarra Valley or Mornington Peninsula in a stretch limousine is an experience like no other. You get to travel in a luxuriously appointed stretch limousine with an intimate group of friends for the same price as a mini bus Tour. Our luxurious and elegantly appointed Stretch limousines will pick you up at 9.00 am from home or hotel and have you back at 5.00 pm. This allows you the full day to sample local wine and cuisine from Melbournes' premier wine regions. Let us take you on a journey to the many wineries on offer in the Yarra Valley or Mornington Peninsula stress free and in the full indulgence and luxury of a chauffeured stretch limousine. The Yarra Valley is a world class wine region located one hour from Melbourne in Victoria and surrounded by the glorious Dandenong Ranges. With our fleet of limousines we can offer personalised packages that are guaranteed to satisfy. Located just an hours' drive from Melbourne's CBD, The Yarra Valley is renowned worldwide as one of Australia's premier wine districts. At Winery Tours Yarra Valley, we can tailor your personal winery tour to your own likes and tastes. We can visit smaller family owned boutique wineries and/or famous brands such as Chandon, De Bortoli, Yering Station and Rochford. If you wish, we can include cheese tasting at the Yarra Valley Dairy or beer tasting at a local brewery. Your Yarra Valley winery tour can also include morning tea/cheese platter as well as a winery or hotel lunch. Sit back, relax and let us take care of your needs whilst enjoying your Yarra Valley winery tour in the comfort of your own chauffeur driven limousine. Wine tastings and Guided tour of Domaine Chandon. Gourmet lunches available.